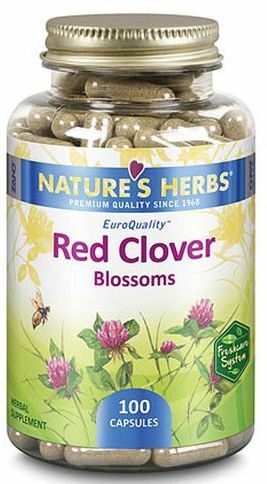 Red clover is a perennial that grows in the wild and is part of the legume family -- the same family peanuts belong to. It is native to Europe and Asia but is also found in North America. As an herb, red clover is packed with nutrients, including calcium, magnesium, niacin, potassium, phosphorus, chromium, thiamine, and vitamin C. Red clover may be most well known for containing isoflavones, which are strong antioxidants and can produce effects in the body similar to estrogens. Using red clover for medical purposes should not exceed three to six months, unless otherwise directed by your healthcare provider. Isoflavones from red clover can reduce menopause symptoms, according to a 2002 study published by the menopause journal Maturitas. In the study, women who were treated with a medication containing isoflavlones from red clover experienced fewer hot flashes -- a 44% decrease -- compared to women who were given a placebo. Over the years red clover has been used for the treatment or prevention of a variety of conditions. Medical doctors and alternative treatment providers have recommended red clover for conditions from chronic illness to indigestion. In 2007, urology researchers in Europe found that 60mg of an isoflavone extract decreased prostate-specific antigen (PSA) levels by 30% over a 12 month period. The study authors believe that urologists and other medical doctors should be informed about the benefits of red clover extract on prostate and liver function, sexual function, and quality of life in med with high PSA levels and negative prostate biopsy findings. According to the National Center for Complementary and Alternative Medicine, there is little evidence to prove that the medicinal herb can or should treat any of the following conditions. Before taking an herbal remedy, talk to your healthcare provider. Dosage for red clover depends on how it's ingested and the purpose for which you're taking it. These doses are suggested by the University of Maryland Medical Center. Dried herb: Dried red clover herb can be used to make tea. For 30 minutes, steep 1 to 2 tsp of dried flowers or flowering tops in 8oz of water. Drink two to three cups per day. Capsules (powered herb): 40mg to 160mg per day, or 28mg to 85mg of red clover isoflavones. 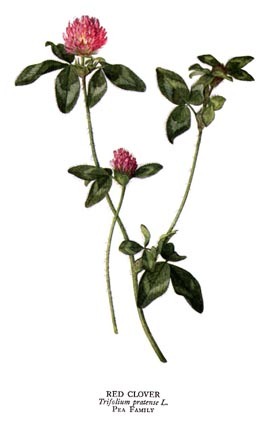 Tincture (red clover disolved in alcohol): 60 to 100 drops (3mL to 5 mL) three times per day. You can also add drops of red clover extract to hot water and drink as a tea. 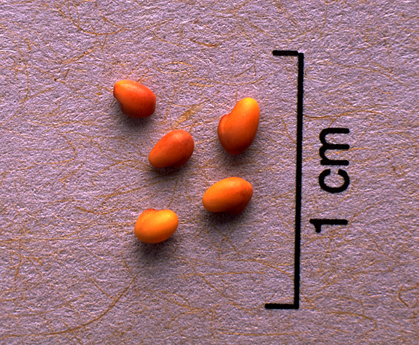 Extract (fluid form): Use a 1:1 ratio, 1mL of red clover drops three times per day. Extract can be added to hot water for tea. Topical: A liquid extract or ointment containing liquid extract or 10% to 15% flowerheads. Apply as needed. Discontinue immediately if irritation develops. Do not apply to an open wound, unless directed to do so by your healthcare provider. 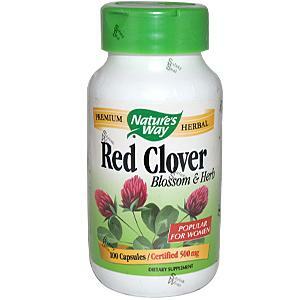 Red clover is available for consumption as tea, pills, extracts, ointments, and tinctures. Doses depend on a variety of factors, including form used, age, diagnosis, and health status. Talk to your doctor about what dose is best for you. Generally, red clover is safe to use for up to 12 months. Do not take red clover if you have a history of breast cancer or other hormone-sensitive cancers. Do not take red clover if you are pregnant or breastfeeding. Taking red clover may increase the risk of uterine lining cancer. Few serious side effects have been reported in red clover users, specifically those who use the herb for less than one year. General side effect can include headaches, nausea, and rash. Patients on blood-thinning medications may experience increased risk of bleeding. Let your healthcare providers know about any alternative or complementary therapies you use. Although we do not sell red clover, you can compare brands, quality, and price here on PricePlow. Nature's Way Red Clover was created. Sign up for future Red Clover news! Click the button below to sign up for future Red Clover news, deals, coupons, and reviews! Sign up for future Red Clover deals and coupons! Click the button below to sign up for future Red Clover deals, news, and coupons!